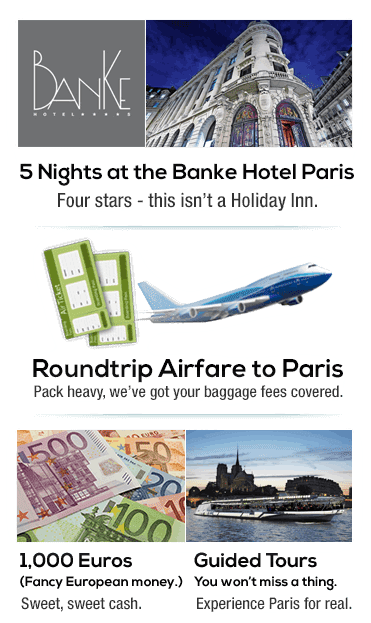 Imagine taking the trip of a lifetime, paid for with spending money! Whether you are in need of a vacation or you have a special celebration coming up, this is a great giveaway package! Disclosure - NO PURCHASE NECESSARY TO ENTER OR WIN. The contest is void where prohibited by law. Only legal residents of the United States who are 18 years of age or older at the time of entry are eligible to enter. See the official rules before entering. This is a sponsored post. All opinions expressed are honest and our own. This is not affiliated with, nor sponsored by A Ladybug on the Go. Sponsor will be responsible for prize fulfillment. This is a sponsored post for Review Wire Media.